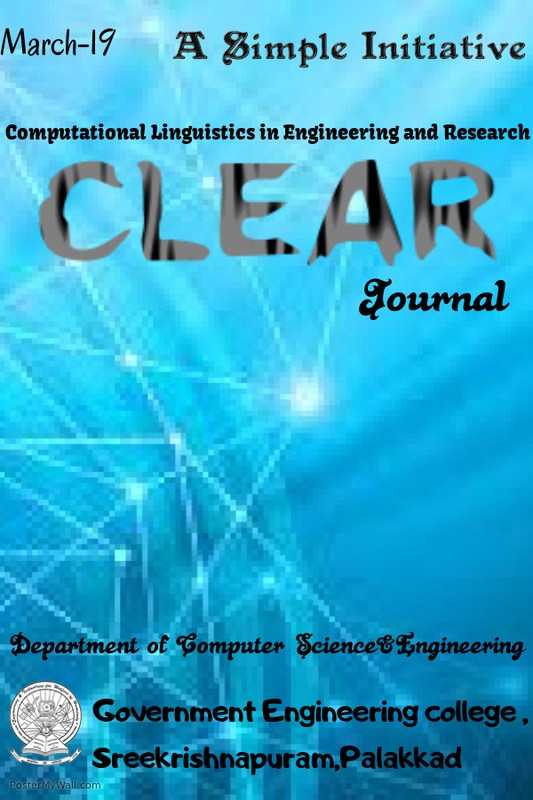 The paper titled "Morphological Analyzer for Malayalam: Probabilistic Method Vs Rule Based Method", by Rinju O.R. of M. Tech Computational Linguistics is accepted and published in volume 2 issue 10 October 2013 of International Journal of Computational Linguistics and Natural Language Processing (IJCLNLP). SIMPLE Groups congratulates Rinju O.R for her achievement.